I’ve been eyeing this pattern and was considering a wool suiting that I already have, so I am particularly interested in seeing how this turned out for you. In the photos, they look very sharp! 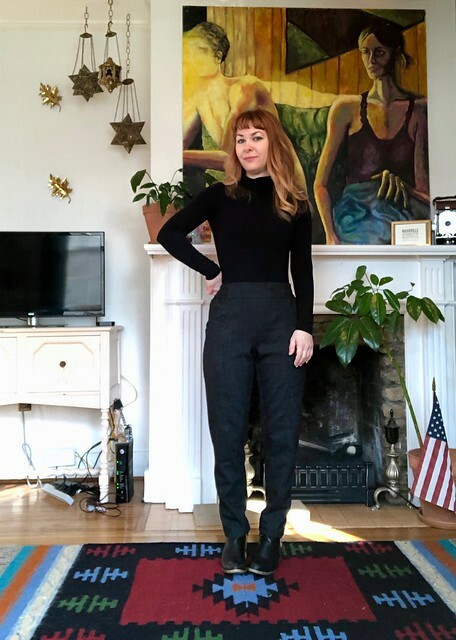 My hesitation with the wool suiting was whether the more casual-styled pattern would work well in something typically more formal, and would the resulting pants then work with a jacket. . . I do like the way the wool suiting dressed up the casual pattern! I think if you made a similarly styled blazer (esp if it also had interesting pockets), then the look would be very avant garde. Maybe not something you could necessarily wear in a very formal business setting, but definitely would pass in a general office setting. Those pants are look very nice on you, and I love the pockets and the fabric! Nice! 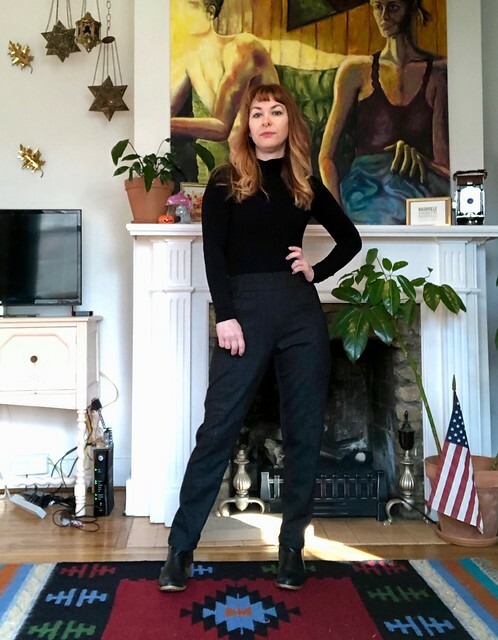 I would never have considered these pants from the ad pictures, but now, seeing yours, I want them! These turned out great! 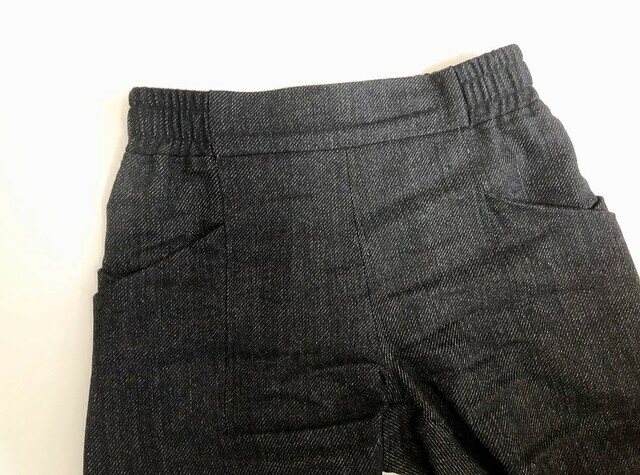 I’m excited to try making a pair myself since the loose fit and front/back center seams will probably take care of my main pants fitting issues. Plus I love secret pajamas since I like to be comfortable while sewing etc, but not have to change to leave the house haha. These are TOTALLY secret pajama style pants. 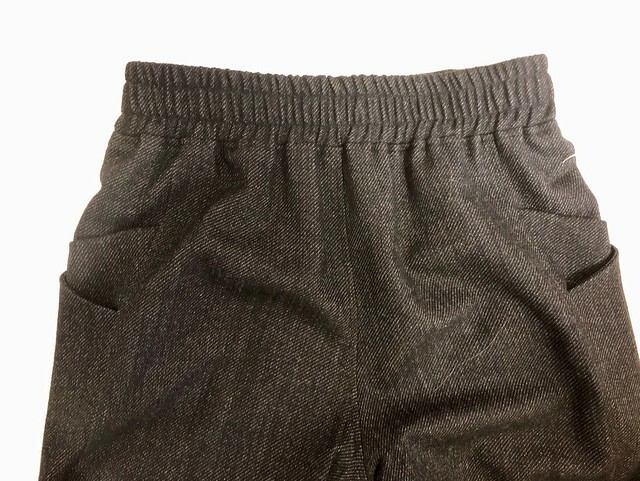 I can’t wait to make some shorts in a drapey fabric, I think they’ll be perfect for our peak summer. Thank you for the detailed comments on your construction (tell us the exact kind of needle you used? Yes please!). These look great on you and the design is very interesting so they are on my make list now, along with your bodysuit mash up. I have been looking at this pattern since its release and seeing them on you reminds me why I liked this pattern so much. I love how they taper to the ankle which looks lovely on your shape and the pockets! yes! I love those too. 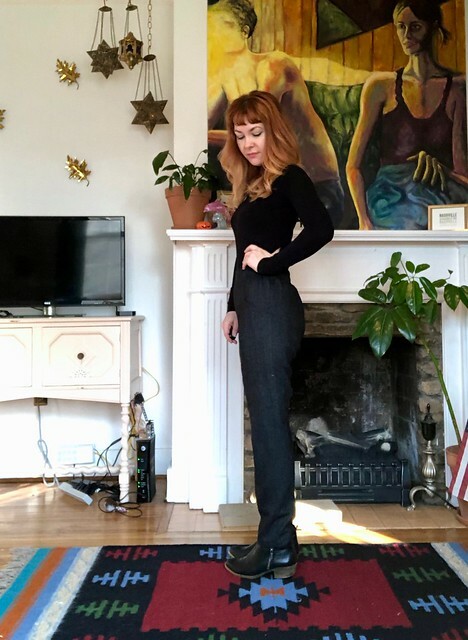 They are just the shape of pants I can vision reaching for regularly when I want to be comfortable but look a little sharp too. sigh…can you hear the “sold” coming through in the background? 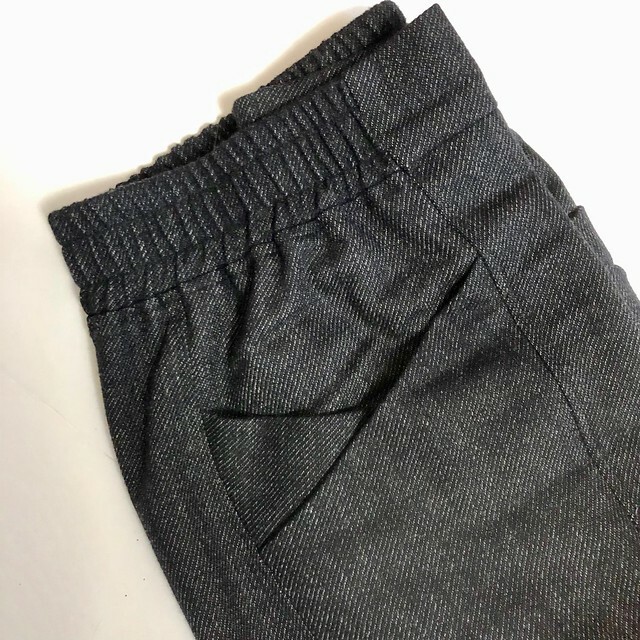 🙂 Thank you for sharing your experience and especially how you prepared and sewed with a lighter wool for an “inside” garment. I love wool but consistently shy away from it mostly from just lack of experience. I just never would have thought of wool for this pattern – I had been focusing in my mind on something lighter like linen or a linen blend. Thank you too for pointing us to look at Elizabeth Suzann’s pants similar to this pattern but how much more fun to make a pair of our own for fit, colour etc. You are welcome for all! 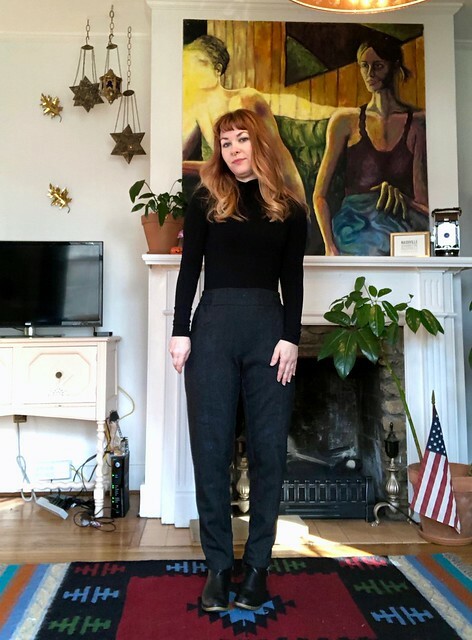 I really love sewing with wool because I feel like it’s one of the more forgiving fabrics to work with… it’s so easy to sew and press, and easy to take care of as long as it avoids the dryer! I think they will be awesome in a linen or rayon or something similarly lightweight, but right now all my body can think about is staying warm 🙂 Summer is coming, though! These turned out great! 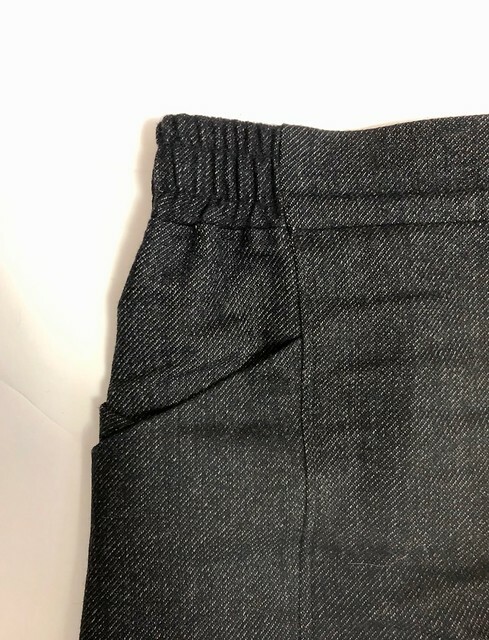 I love that pocket detail as well. Love your palisades! I’m getting ready to make my muslin. 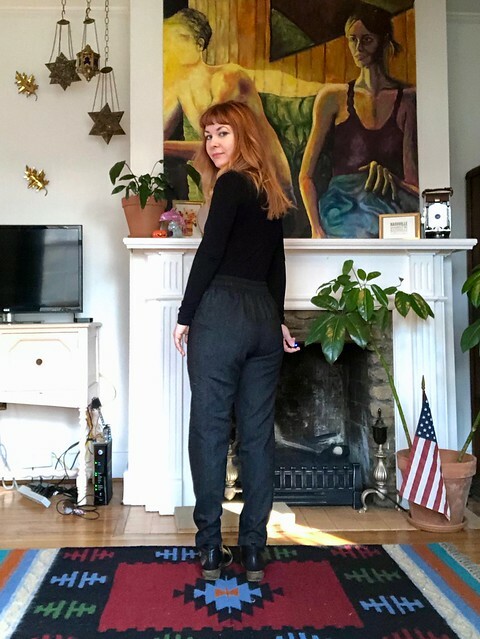 Those pockets are everything I’ve ever wanted in pants! Also, I just love your blog in general. Hi! I linked to the specific interfacing that I use – and just checked again, the link is active and there is tons of it in stock. I have also bought it from Fashion Sewing Supply in the past, but Mood’s interfacing is comparable in quality and about half the price (plus I can include it in my whole order, so I don’t have to pay extra for shipping). I also get several yards at a time, it’s super wide so it lasts a long time!